Do you remember when you first discovered IR? I do. I was in graduate school, exploring different fields under the oncology umbrella. I had already determined that, on one end of the spectrum, medical oncology wasn’t procedural enough for me. On the other hand, I didn’t like the prospect of spending my entire day on a single procedure, like a surgical oncologist. Thus, for four years, I told people I would be a radiation oncologist. It seemed to be the best choice, by process of elimination. And then I shadowed a radiation oncologist. My hat goes off to all current and future radiation oncologists. Somebody has to do that job, but it’s not going to be me! I found the process of calculating the exact radiation dose to tumor and healthy tissues too monotonous for my liking. My attending physician could see that circling structures on a CT scan wasn’t doing it for me. In an effort to stimulate my interest, he declared, “See! It’s just like a video game!” I am sad for his childhood, which must have been squandered on terrible video games. I went home, defeated, to do some soul searching and some Googling. I had an identity crisis: what was I going to be? And then, I found out about this new-ish field called interventional radiology. I learned that one of the more common diseases they treat is cancer, and I decided to investigate further. At the time, Dr. Ziv Haskal was a professor at my institution and graciously permitted me to follow him for a day. The first case we saw wasn’t an interventional oncology IO (IO) case; it was a TIPS. Nonetheless, I was immediately mesmerized. At one point, Dr. Haskal looked over at me and said, “See! It’s just like a video game!” I finally felt like I was in a room full of my people: people who played decent video games. Although it ends on a high note, this is a sad story and a cautionary tale. Recall my situation. I was an MD/PhD student in my third year of graduate school. I had been at a medical school for five years. The friends with whom I had started medical school were now physicians. Some of them were in radiology residency programs. And yet, were it not for an evening spent crying over my internet browser, I would not know what interventional radiology was! Let’s face it: IR has a branding problem. Our patients don’t know who we are or what we do. Worse, our physician colleagues don’t either. However, they’re not entirely to blame. 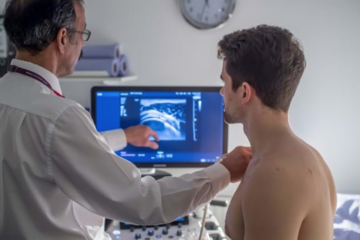 In a recent survey by the SIR MSC’s Education and Research Committee, only 41% of students polled reported having been exposed to IR through lectures or clerkships. 1/3 of respondents didn’t even have access to an IR elective rotation at their institution. With such a dearth of information available, where would we expect a medical student to learn about IR? Unfortunately, this problem can’t be solved without a retooling of medical school curricula across the country. While we encourage you to mention that whenever the opportunity presents itself (especially if you’ve been asked to evaluate your institution’s curriculum), we recognize that, as a medical student, you have limited power to affect such massive change. However, you need not wallow in despair. There’s something you can do to make a significant difference at your school: start an Interventional Radiology Interest Group (IRIG). An IRIG is the perfect way to supplement your curriculum. 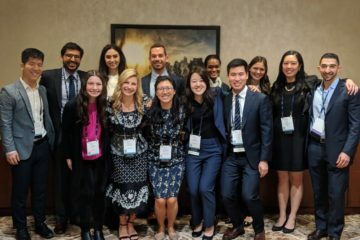 Via your group’s events, you can introduce your fellow classmates to interventional radiologists, the patients they see, and the procedures they perform. The SIR Medical Student Council appreciates that this is a substantial undertaking—especially when you’re busy with schoolwork. Therefore, we have a dedicated IRIG Committee to help you. At our Medical Student Interest Group website (http://rfs.sirweb.org/medical-student-section/medical-student-interest-groups/), we have a map that shows the location and contact information for other IRIGs around the country. There’s a link where you can check out photos and reflections on recent, exemplary IRIG events. Finally, you can request an “IRIG Cookbook,” full of tips and tricks for getting your group off the ground. The cookbook addresses a range of concerns, including an IRIG’s relationship with a Radiology Interest Group and the Diagnostic Radiology Department, funding and advertising, programming, and group continuity and longevity. Furthermore, the MSC and the RFS have provided a series of curated lectures with the help of experts from SIR. You can request access to these lectures for your IRIG events here: http://rfs.sirweb.org/medical-student-section/ir-lecture-series/. Imagine how much easier it will be to convince a faculty member to come speak to your group if you already have a lecture written for them! We cannot over emphasize the importance of IRIGs to the future of Interventional Radiology. Our patients don’t know enough to request a referral and our colleagues frequently don’t know enough to offer one. 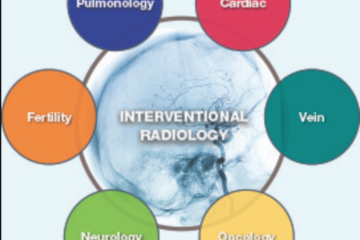 The most obvious place our peers can learn about Interventional Radiology is medical school. The fastest and easiest way to ensure that they get accurate information is to start an IRIG. I would like to end by thanking our IRIGs around the country. The MSC, the RFS, and SIR notice your hard work. We appreciate it, and we recognize that with your help, the specialty will continue to grow.